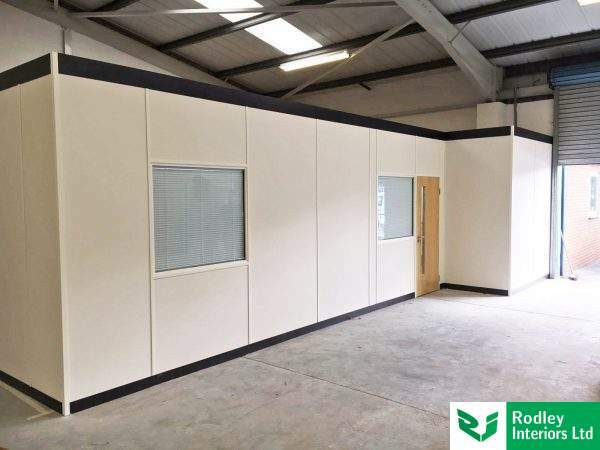 Approached by a tele-communications company Rodley Interiors have succeeded in creating flexible offices within a Warehouse area. 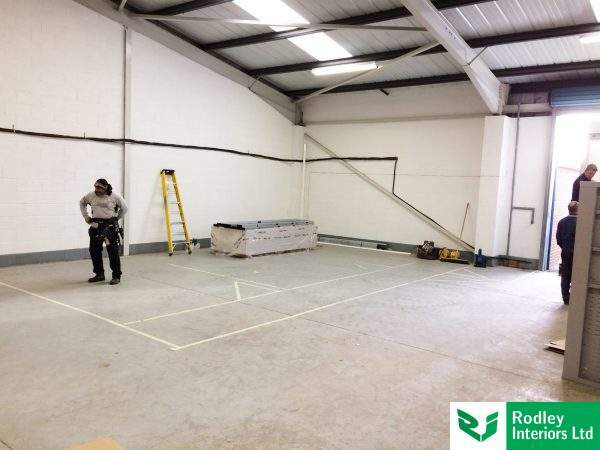 Our client based within West Yorkshire reached out to Rodley Interiors to assist with their business development relocation project. Making the move to a larger unit our client would be able to accommodate high levels of staff and improve company productivity. The new unit was housed within a popular Retail and Business park, a desirable place for any growing company. Our client wanted the Warehouse space to be an extension of the main office and mirror the professional feel the company upholds. The Warehouse office partitions needed to be long-lasting, hard-wearing and flexible. The Warehouse office partitions were finished in a neutral vinyl which complemented the industrial feel of area and mirrored the main office. We installed small glazed modules to enable the furniture to sit underneath without hindering the view into the main Warehouse. To keep an element of privacy the windows were fitted with integral blinds, which can be adjusted to suit staff requirements. 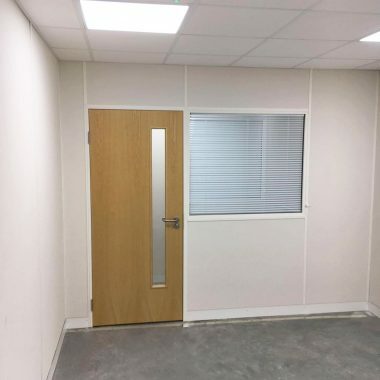 To create these robust warehouse/office spaces the partitioning system had to have the appropriate specification detail. The warehouse office partitions were Tenon Fire and Sound, with high fire and sound reduction qualities. Due to the high ceiling level within the Warehouse we the offices were free-standing to a height of 2700mm. A new suspended ceiling with clear prismatic ceiling tiles. Due to the height of the warehouse ceiling braces were required. To aid with sound reduction and heat retention 100mm insulation was laid above the suspended ceiling. 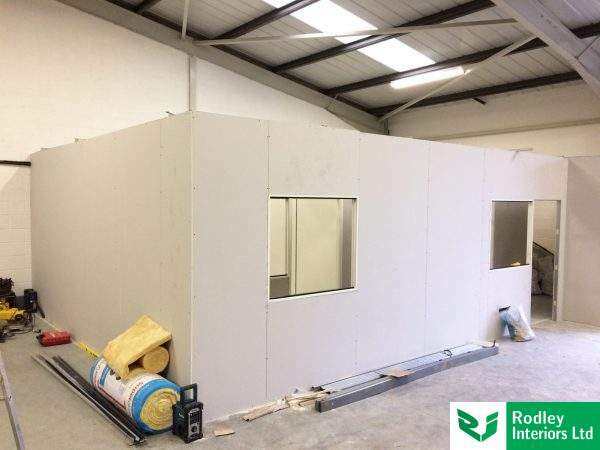 Warehouse Offices and Free-standing Partitioning Free-standing partitions, offices for warehouse staff and fitting out industrial units.